Jimmy Briffa was born in Mqabba on September 23, 1948. Mqabba is not among the most fertile of football locations but now and then a really worthwhile exponent emerges from this part of the island. Briffa was surely one of the best. As a youngster he learned to kick a ball on the numerous wastelands which abounded around his village. Then, in 1964, he signed up for Mqabba minors. A year later he joined Floriana minors but after an unsuccessful season with the Greens he returned to Mqabba. In 1967-68, Briffa moved to Żejtun Corinthians and he helped them to win promotion to the Second Division. Briffa had a very good season in Żejtun and was hailed as one of the brightest prospects in the lower divisions. His performances in the inside-forward position attracted the attention of the clubs in the top flight and there were rumours that Sliema Wanderers and Floriana were both interested in securing his transfer. Briffa spent one more year with Żejtun but when they were relegated it signalled the time for Briffa to seek pastures new. By 1969-70, a number of First Division clubs were vying for his services. Finally, it was the Wanderers who succeeded in getting his signature. Sliema signed Briffa with the intention of bolstering their forward line. However, he could not settle down in his new environs and for a while it seemed that, after all, it was a mistake to join the Wanderers. Then, coach Victor Scerri decided to try him as a stopper. Briffa was an immediate success and his inclusion in the thick of defence strengthened Sliema’s defence no end. He made his debut for the Wanderers on December 20, 1969 against Floriana. The game finished in a 2-2 draw with both Blues’ goals on that occasion scored by Joe Cini. Briffa stayed with Sliema for seven seasons during which he played 69 first-team matches. In the process, he won the league championship three times, the Independence Cup twice and the Christmas Cup once. He made his debut for the national team on March 15, 1972 against Algeria when he came in late in the game as a substitute for Louis Arpa. He wore the Malta jersey three more times in the World Cup qualification matches against Austria (0-2), Hungary (0-3) and Sweden (0-7). He was also picked once to play for Malta U-23 against the Italian amateur side. Briffa played seven times for Sliema in European club competitions. He made his debut in the Fairs Cup against Akademisk on September 16, 1970. The Danish team won that encounter 7-0. Briffa played five times in the Champions Cup and twice in the UEFA Cup. He had the satisfaction of being in the team that defeated Akranes, of Iceland, 4-0 on September 26, 1971 at the old Gżira stadium. 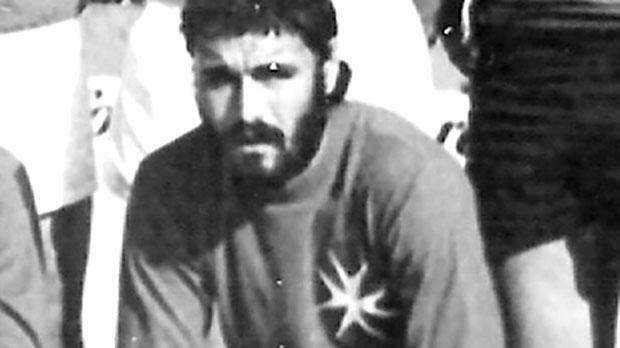 He stayed with the Wanderers up to the end of the 1975-76 season when he joined Mqabba as player-coach. He remained with his home club well into the 1980s during which time he led the team from the Third to the First Division. He remains active and has a long and varied coaching career behind him.